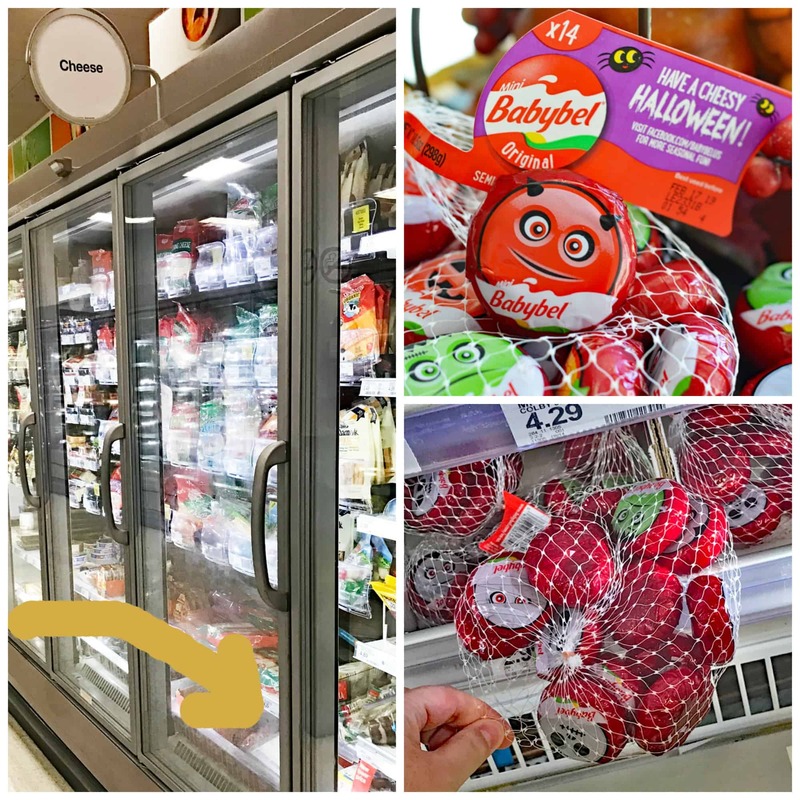 Since nearly 70% of my readers are actually vegetarian, I was thrilled to be able to bring you this post for Mini Babybel® Cheese at Target! 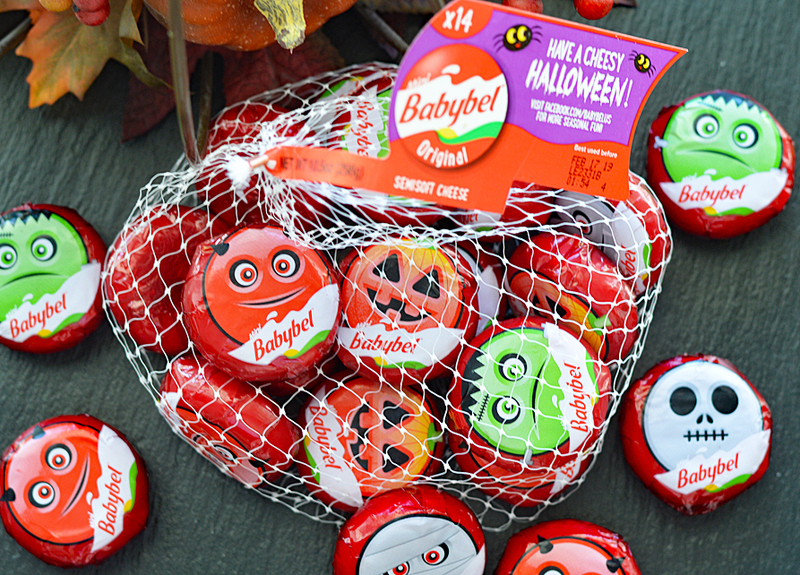 Babybel® cheeses are a wholesome, nutrient-rich, all natural snacking option for the whole family and with the new Halloween packaging, they are more fun than ever! I found the Mini Babybel® at Target in the cheese section. 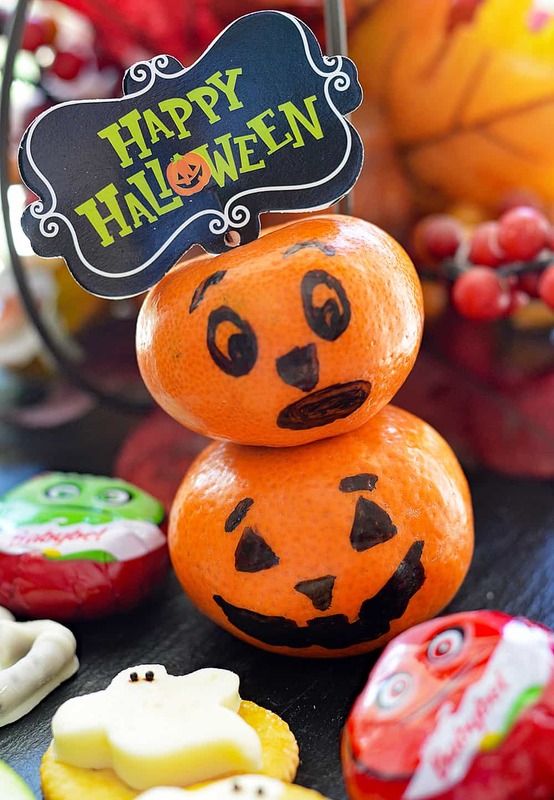 Right there at the bottom were several boxes worth of these limited edition Halloween cello packaged cheese. I just think they are super cute! 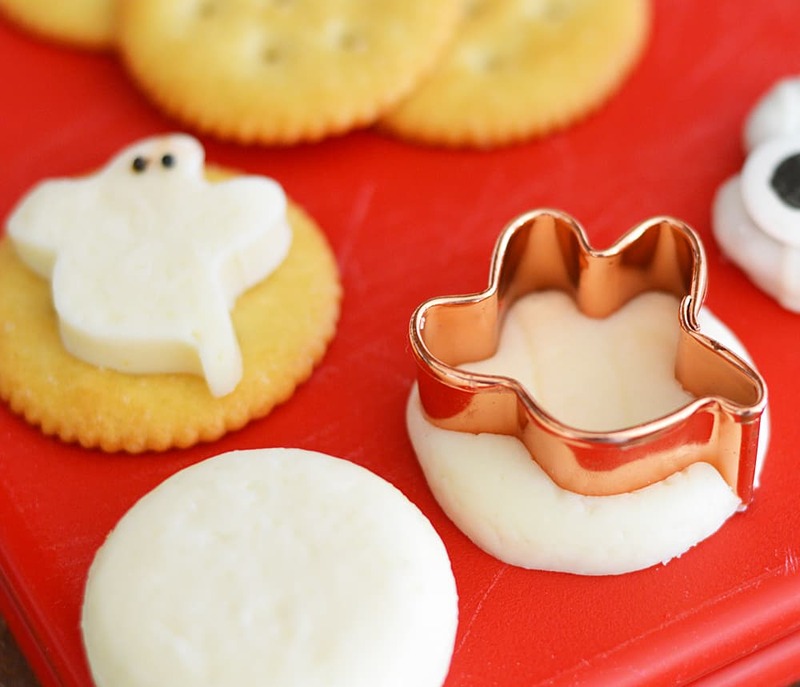 From that same set of mini Halloween cookie cutters, using a green apple slice, I cut out the center of one slice. 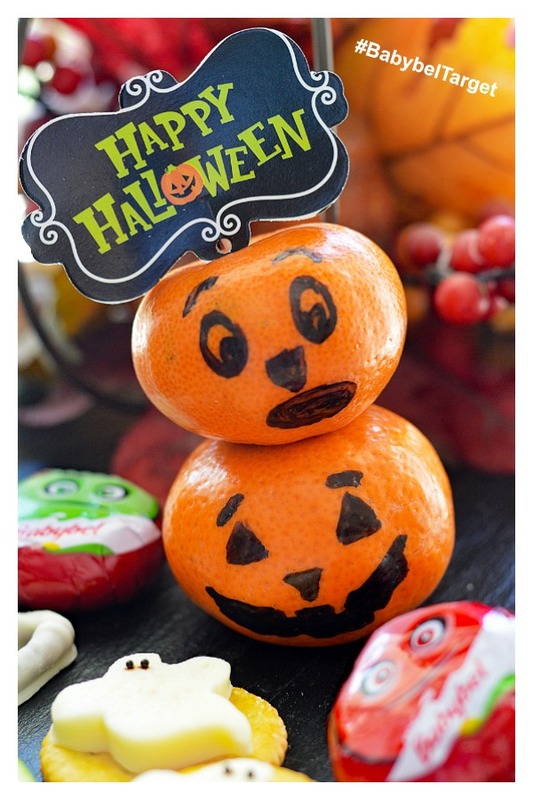 I spread peanut butter on the other slice and placed our cut out on top, using a Halloween pumpkin pick to decorate. 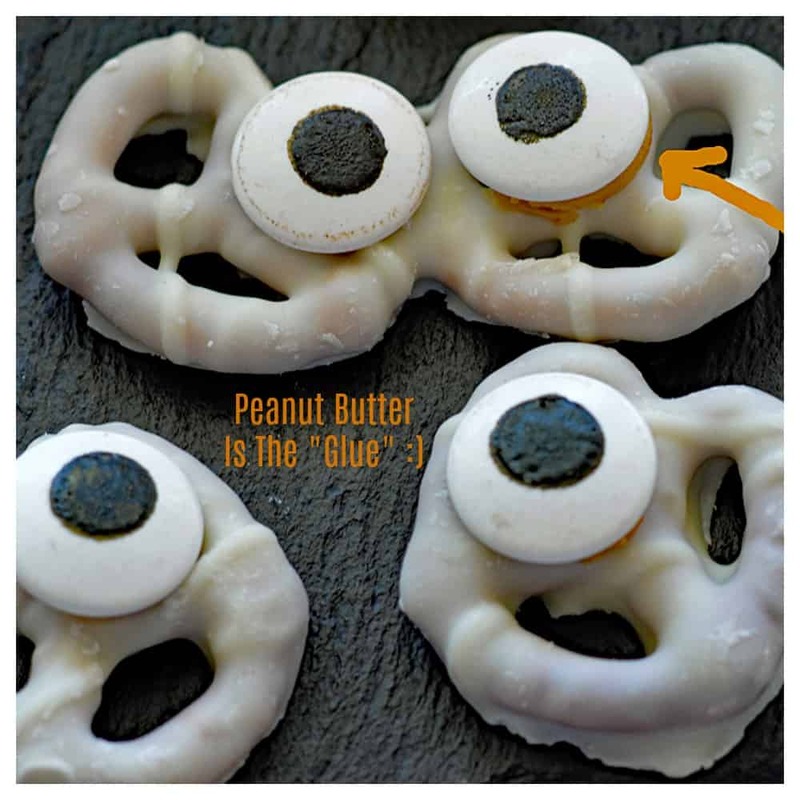 I took some of that same peanut butter to attach candy eyes from the craft store to these yogurt covered pretzels to make one-eyed creepy mummies. 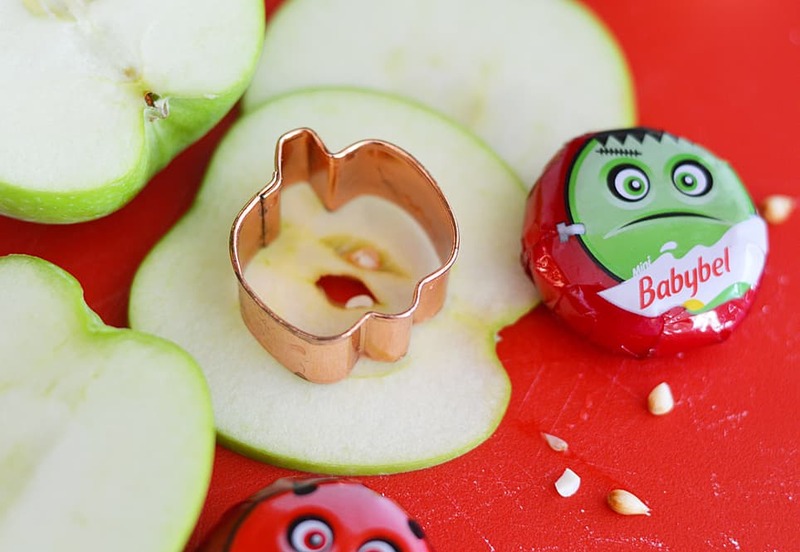 What spooky ideas do you have for entertaining with Mini Babybel®? Leave me a comment below. 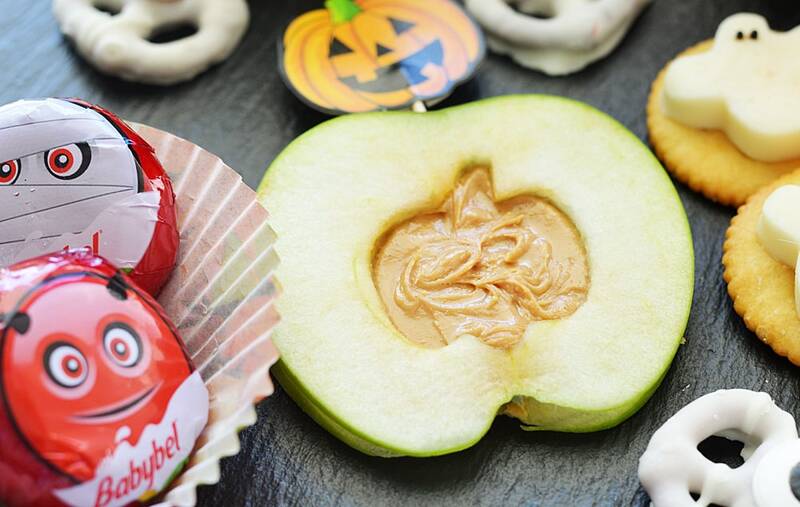 Now go get your Halloween-themed Mini Babybel® at Target while supplies last. 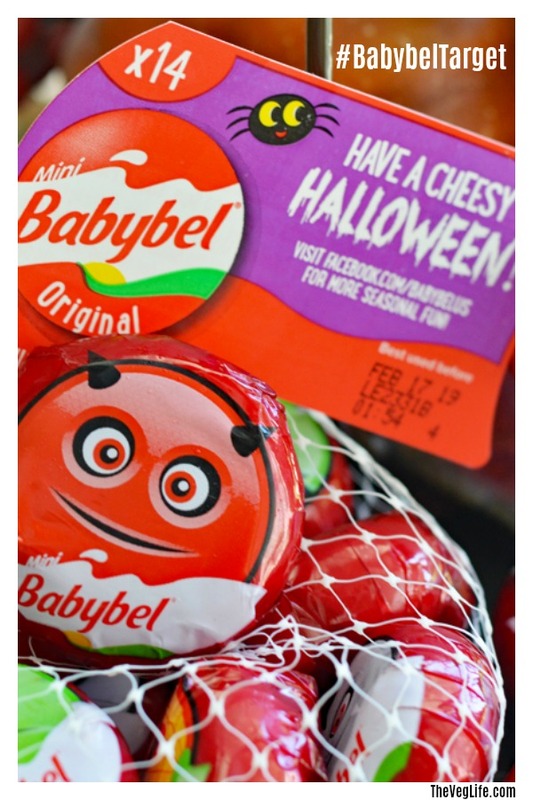 There are deals throughout the month of October, including a 10% off Mini Babybel Cartwheel App offer that runs 10/7 through early November!